Linx’s Black PE Ink 1130 is designed to “meet the specific challenges of effective printing” on materials for food packaging, cosmetics and cabling. 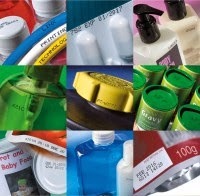 Linx Printing Technologies announced the release of the Black PE Ink 1130, which it said "offers excellent adhesion" to both polyethylene (PE) and "most" polypropylene (PP) applications, including "non-contact food packaging" as well as "pharmaceutical, cosmetics and personal care, automotive, cable and wire" applications. The ink is also in-line with Swiss Ordinance 817.023.021, the European reference for inks used in food packaging, and can be used on other substrate materials including ABS, acrylic, aluminium, glass, HDPE, LDPE, PET and varnished card, with the "flexibility to retain a single ink, rather than multiple types" on-site at a manufacturer for "use across all their package and product coding requirements". The ink, Linx adds, can be used with its own 5900 and 7900 printers that incorporate Midi and Ultima printheads, and "provides excellent print quality" and "fast drying" to "deliver clear, readable codes in even the harshest of production environments". Ndidi Ihekwaba, Product Specialist for Inks at Linx Printing Technologies, commented: "PE and PP are traditionally challenging substrates to adhere to, due to their low surface energies. Linx Black PE Ink 1130 is able to overcome this challenge and creates excellent adhesion to these substrates, ensuring a quality code each time." Pro Print reported on Fuji Xerox’s plans to release a high-end digital production printer – the Color 1000i Press – this quarter, which will be the first xerographic production printer to include gold and silver metallic toner. Replacing the Color 1000 device released in August 2010, the Color 1000i Press continues to focus on the high-end professional market, offering print speeds of 100 ppm on media up to 350 gsm, including dark-colored media. The OEM stated that the metallic toners will enable "printers of catalogs, direct mails, flyers, postcards and business cards" to "add marketing effects and improve the value added to each print, such as giving them a high-class look and seasonal sense". The toners "may also be compatible with other Fuji Xerox printers"; although the article notes that "it is unclear which models could use them". The metallic toners have been developed through Fuji Xerox's Emulsion Aggregation technology, and "form ellipsoid-shaped inks with the flat reflective pigments completely covered by toner particles". 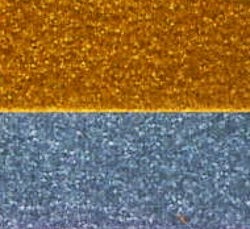 These reflective pigment particles are oriented "in parallel to the print media", allowing them to "reflect light after the image is fused onto the media". The pigments "do not allow light to pass through", allowing metallic printing on a variety of media. Fuji Xerox highlighted that the process can be completed using a single production printer, which "can improve workflow and help print companies to expand their business through widening printing application with the gold and silver toners". In addition, the device includes Fuji Xerox's "full width array software which automates printing adjustments", therefore reducing the user's workload and improving efficiency. Naresh Gulati, Chief Executive of OCA, whose subsidiary Print Bound operates two Color 1000s, expressed interest in using the new toners to enhance marketing materials, commenting: "I would like to run the clear ink on one and gold or silver on the other depending on production needs it would be great for getting marketing collateral like direct mail, brochures, and flyers noticed, and unlocks many possibilities for creative design." The Color 1000i Press will be released in Japan on 6 February, and will then be rolled out across the Asia Pacific "soon after". The Primera Trio weighs just over a kilogram and is "the size of a hardcover book". 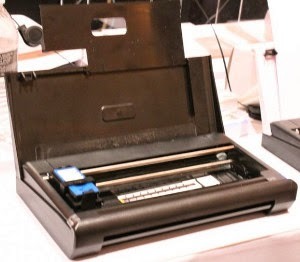 Gizmag reported on the launch of the machine at the Consumer Electronics Show (CES) in Las Vegas this month, with OEM Primera Technology stating that its Trio printer is "the world's smallest and lightest all-in-one printer", weighing 2.7 pounds and "the size of a hardcover book" with the ability to use an "optional battery pack" for power. The inkjet device takes color or monochrome cartridges, and can print on A4 paper at a resolution of 4,800 dpi, with a 10-sheet feeder, while "postcards, invitations and photos" can be printed from a secondary feed measuring 4 x 6 inches at the rear of the device. The printer"s dimensions are 11.4 by 1.8 by 6.5 inches, which makes it bigger than Brother's PocketJet 6, but that is a single-function as opposed to this AIO. The Trio also scans in full color or monochrome at 600 x 600 dpi, with the additional optional battery pack giving up to 100 extra pages on one charge, and Primera has also produced an "optional vehicle mounting bracket" alongside a 12-volt and USB power cord for "in-vehicle printing". The Trio can also be personalized with optional silver, white, pink and blue top covers. Primera noted that the machine is available for pre-order "in selected stores" worldwide now, with an estimated shipping date of February and a price of $399.95. The member of the UK Parliament Sir Alan Duncan has begged Parliament to bring in a bill banning the reams of legal blurb at the bottom of emails in order to save precious Whitehall ink when, printing out one-line emails. "We have all been there. A short email comes in from a friend, colleague or company and we hit print. Then we look in horror as page after page spews out," he told fellow members of parliament. "The email itself is not the end," he continued before vainly trying to invoke Churchill: "It is often not even the beginning of the end – merely the end of the beginning." Duncan's bill would ban open text e-mail disclaimers from the electronic communications of all UK government departments, agencies and councils and all UK limited companies, he said. "Enough is enough, Mr Speaker. Never again do we want email chains that say in one line 'Fancy lunch, mate?' and then immediately the one line is followed by 20 undeletable lines of legal officiousness." Unfortunately it's not just Whitehall that is guilty of such excessive wording. "I confess that my own party, which has demonstrated such admirable restraint with the public finances over the past five years, cannot replicate this self-control in its own 183-word disclaimer," a despondent Duncan intoned. "As the Prime Minister has said in this House, there is still much more to be done, and, I would add, much less to be printed." Duncan said this "sluggish, bureaucratic verbiage" risks "tarnishing national pride that it was a British computer scientist who invented the World Wide Web." He said: "It is high time, therefore, that we put a stop to these meaningless missives that clog up our in boxes, deplete our printer cartridges of precious ink and cut down forests' worth of paper. The footer and the header can survive, but let us now condemn the needless disclaimer to the dustbin of internet history. I commend the bill to the House." The Internet Communications Regulation Bill will have its second reading on Friday 6 March and, by order of Parliament, will then be printed. PC World: "Use third-party ink at your own risk"
A customer is using non-HP, third-party ink in their HP printer. "My printing is interrupted by warnings and urging to buy their ink." Should they switch to the safer but more expensive HP option? There are other options, but they can be scary, as PC World found when they tried several options in their real-world "Portrait of a Serial Refiller" series a few years back. 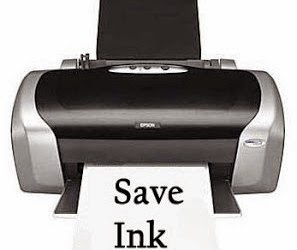 Companies like HP and Brother run a very profitable business selling their printers, sometimes at a loss, just so you can buy the ink they sell for them. It is in these companies' interests to discourage you from trying a third-party alternative. They design their printers and cartridges to make using third-party ink (which is sometimes made by refilling old cartridges) an uncomfortable experience. That is why you can get annoyances such as the (otherwise harmless) warnings described by the reader. Another common problem: With third-party cartridges, you may not be warned about low ink until your printer stops printing a particular color. What is more, some third-party ink is not well made. There is yet to hear of a case where ink actually ruined a printer, but there are cases about it ruining a carpet. And there sis a lot about leaking or empty cartridges, as well as inks prone to smudging. So if you are going to try third-party ink, buy from a company with a good reputation, and be aware of the risks. Most likely, you will have some annoyances, but no disasters. To be fair, inkjet printers are n0t the guaranteed money pit they used to be. PC World have done the math, and small-office inkjets available now are faster and cheaper to operate than comparable color laser models. 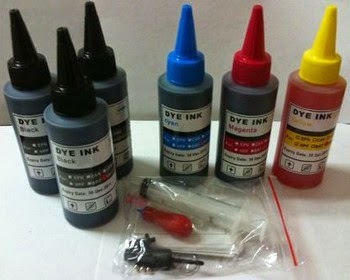 Many consumer inkjets are also affordable. You just need to do your homework on the ink costs before you buy. So if you need high quality remanufactured / compatible inkjet cartridge, visit Priceless Ink & Toner for low prices and outstanding customer support.